If you had to pick one of these as your sole daily driver for the rest of your life, which would it be? 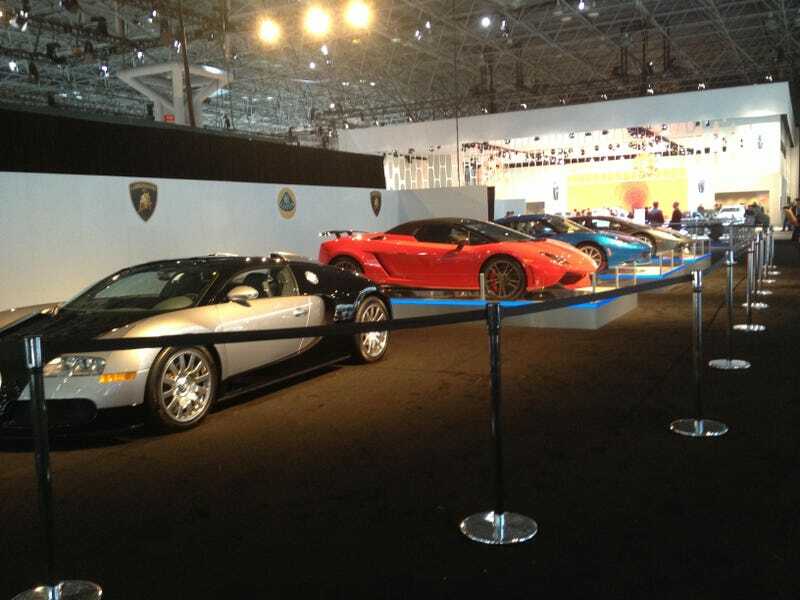 Your choices here at the NY Auto Show are a Bugatti Veyron (ten years old already, blech), a Lamborghini Gallardo Spyder (no one wants to see your inevitably bald head as your toodle along, blech), a Lotus Evora S (too soft, blech), and a Lamborghini Aventador (too soft, blech). Clearly these cars are all horrible and no discerning connoisseur would ever even look at one of these breathtaking machines, but which would you take?